-ONE- I have been eyeing this floral Anthropologie swimsuit for weeks. The price was the only thing keeping me from the purchase. Finally I had talked myself into the $100 price tag, but no... no... that's just for the bottoms! The whole suit goes for a whopping $210. So sadly, I will not be sporting this bikini this summer. -TWO- I often mention how wonderful this blogging community is, but it has only gotten sweeter lately. There are four other girls that I text with daily, and who have truly become some of my bestest friends. They get me, accept me, love me. They make me laugh way too hard! But most importantly they are so supportive & caring, and they check in on the harder days. March was a pretty tough month; one where two family members passed away and a potential cancelled visit from my parents was looming. But one morning I was surprised by some fresh flowers delivered to my door along with some witty poetry! My day was made! Love you Erin, Sara, Desiree, & Liz!!! 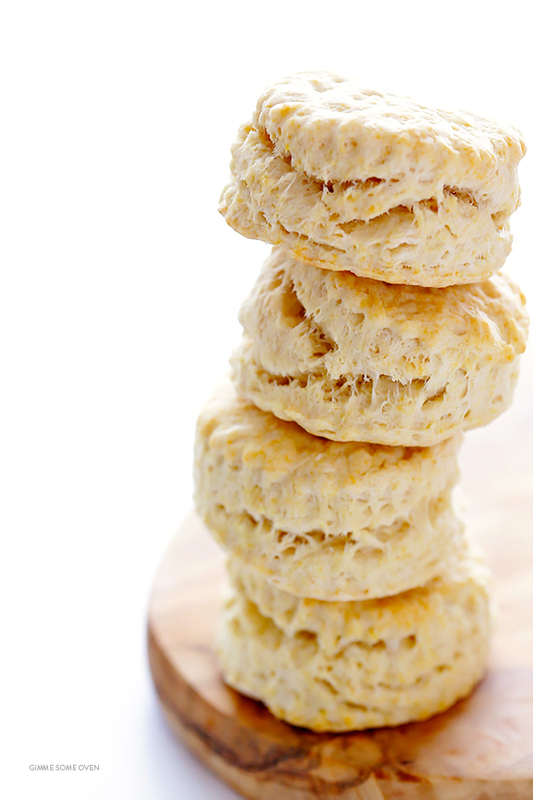 -THREE- I have been making these three ingredient biscuits on a regular basis, and they are amazing! So easy (as in easy enough for me to whip up before a playdate) & so tasty. Sometimes I add a few fancy ingredients like an herb & honey, but that isn't even necessary. What is necessary is using a fun shaped cookie cutter to really wow everyone. Who doesn't want butterfly shaped biscuits?! -FOUR- We all know that Instagram is my preferred social media platform. It's where I engage the most and definitely where I share the most pictures. 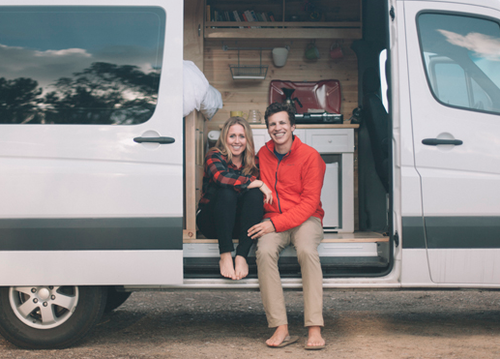 And today, I have a new account to share that you all need to follow... One of my childhood friends bought a sprinter van with his (now) fiance, and they are traveling the country and documenting their adventures. For a glimpse at their simple & tiny living as well as gorgeous locations, follow them at Van Ventures! 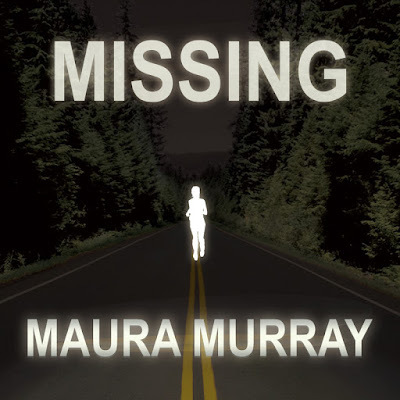 -FIVE- Sara & Laura got me hooked on the Missing Maura Murray podcast, and I can't get enough! I have no theories, but I need answers!!! 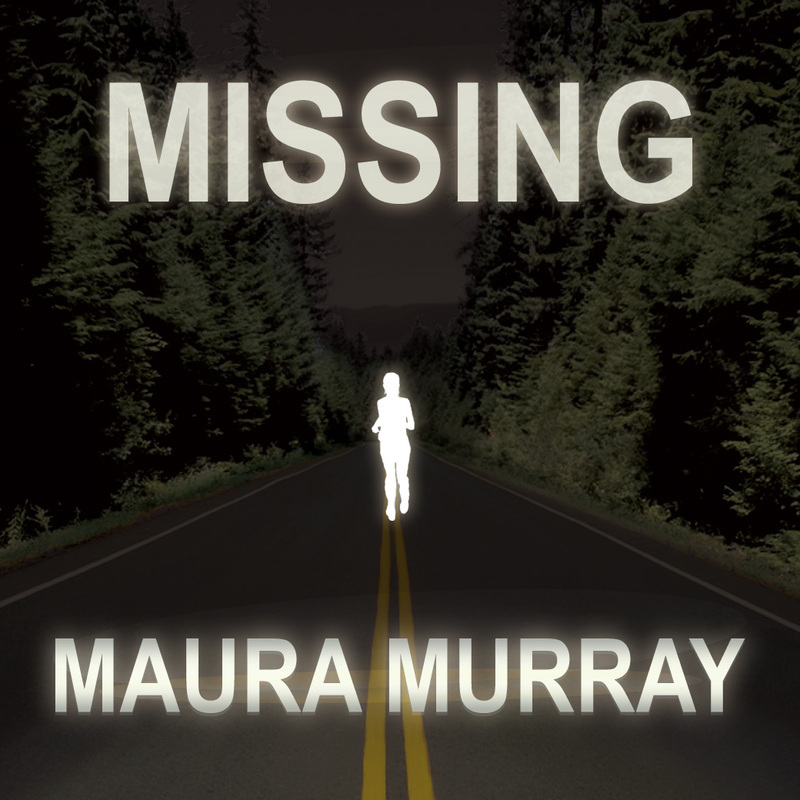 I will say, it's completely worth listening to, but it is not necessarily a well put together podcast. But you move past that, because you get so captivated by the story. Well that was just a little bit of everything now wasn't it? Hope you all survived Monday! I love random posts like these :) That suit is so cute but $210 eek! Friggin' anthro!! Okay now we need to text because I was so frustrated about the podcast guys and how sloppy they do their show!! What episode are you on? Such beautiful flowers! I will definitely be following along with your childhood friend! How cool! yay for sweet and thoughtful bloggers! How fun to have your daily texts! Your friend's new blog and adventure sounds so cool! That bathing suit is amazing, but holy price tag. Why? Why do stores have to charge so much? Oh that bikini is so pretty, but I would have to leave it on the rack too for that price! That suit is SO cute! Maybe if I hit the lotto lol! Those biscuits look amazing too :) I've never attempted making biscuits, but maybe I should give it a go since they're only three ingredients! I was just looking for a good biscuit recipe last night so I can't wait to try this one, thank you! And that swimsuit, fingers crossed it will go on sale or something?! It's so cute. Love that suit, I got a suit from there last year that was a similar cut, but wasn't anywhere close to $210. And def will try anything with only three ingredients!! Love everything about this post!! Flowers from the girls? SO SWEET! That bathing suit...adorable, but really?? over $200? Yikes! That bikini is just gorgeous, but holy moly - $210?! Wow! What sweet ladies for sending you those beautiful flowers. This blogging community truly is amazing. The blogging world is so great! It's so nice to make lifelong friends through it too! I love biscuits so does the rest of our family haha, I'm checking that out stat! Sophie will love it. So that bathing suit is gorg, but I'm sorry - $210? That's just plain robbery. Maybe since it's so pricey, no one will buy it and you can snag it on a deep discount one day soon. Positive thinking:) So sorry that March was a rough month, but glad that you have some good support - including that of some wonderful blog friends - that helped you through it. Yay for wonderful bloggers who serve as good reminders that blogland as a whole is still a good, happy place! I love that swim suit, but seriously $210?! Who does that?! Just pinned those biscuits! They look delish and quick and easy is totally my thing! Sorry for a rough month...here's hoping things get better soon! Internet friends are seriously the best friends. 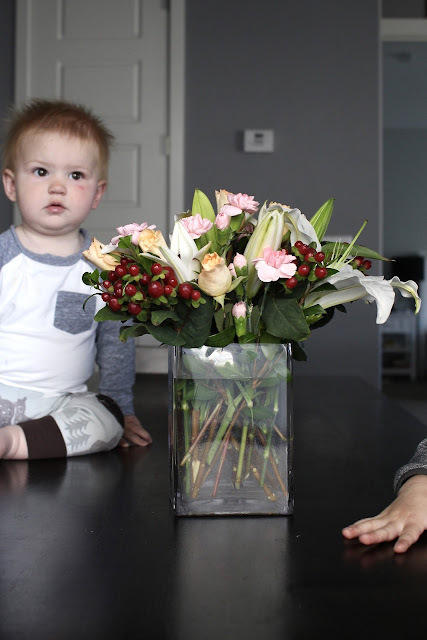 I'll never forget a group of women that I'd never met sent me a giant bouquet after my IVF cycle. It was the most touching thing ever. So, I totally understand how you must have felt! Really, really kind. RIP gorgeous anthro suit. $210 would be SO MANY lime-a-ritas!! also you ladies keep me sane. i just wish i could take credit for that witty poetry. . . $210?! My torso could never rock something with that price tag. But. It is adorable. So happy those flowers made you smile. I still wish we could have sent a pretty red wine though. So very sweet that they sent you flowers! And UGH that swimsuit. So gorgeous, but so much money. Yes to blogging community love! It seriously is the only reason I keep typing away. Sorry you had a rough month, when it rains it pours, right? And come on, $100 for bikini bottoms?!? Who can fathom that! Seriously LOVE the blogging community! I love our daily text threads. They help me get through my days! So happy that we could bring a little happiness to such a rough month. That swim suit IS beautiful, but wow that price. Those flowers are so sweet =) Some of the sweetest ladies I know are in this blogging community. Love that. aw that's so nice about your friends, seriously though i don't even have kids and i have friends that keep me sane like that. it's necessary, i think. that suit is gorgeous! but not $210 gorgeous, ouch! Isn’t it crazy how something of so little material can cost so much? It is beautiful, but I could never justify $210 on a swimsuit. This community is amazing! I still feel so much joy over the flowers you ladies sent me a couple of months ago. What a fun adventure your friends are on!